First up: Wow. Best app ever. I have most of them and this one is the best one. I see that already. It’s a joyous achievement and I salute Matt and co. and thank you so much and just... Wow. Inspiring stuff. Bravo. Just getting my toes wet at this stage but I have acknowledged a few specific wants, to be externalised, tallied and considered as we forge ahead. There is no sense of entitlement here. User folders to organise effects. I love that we can save everything easily and find it again, all over the app. So much so that some of these lists are going to get out of hand. The FX chain list, for instance, is going to be a long, thin scroller, I just know it - can we please have the option of making our own folders and sub-folders here, as we can elsewhere? If I’ve missed something then somebody please point me on track. Maybe it can be done via the Files app or something? As others have said, the facility to automate AUFX parameters would add a lot, so I’ll echo that request and hopefully bump it up the list a bit. Perhaps this wouldn't be many users' first choice for implementation, but I'd be happy with a wrapper for AUFX, as for AU instruments. Assignable macros might tidy up the automation list too. And speaking of those macros - I wish they were more powerful! I suppose this is one for the ‘someday’ pile, to be dreamt about on wet afternoons, but instead of a strict one-parameter-per-knob assignment, why not assign however many you like, with user-specified polarities, sensitivities and ranges for each? Icing on the cake would be response curves per parameter assignment. You can do an awful lot with 8 knobs. Also, I've noticed that when exporting a single MIDI clip, the current default name is that of the whole project and not the clip itself. If you're exporting a few clips from the same project, there can be some toing and froing and rechecking and renaming. Is there any chance of it defaulting to the name you’ve specified, if you have specified one? Sorry if I’m repeating stuff that’s already been debated to death. I’ve not caught up with all of the threads yet. All in all, NanoStudio 2 is an absolute masterpiece and we all know it, so enough tapping here, I'm headed back in. In Obsidian, with it’s mod matrix yes! It’s pant-wettingly amazing But that AU wrapper... I couldn’t find a way to set up any fancy macro biz. Oh yeah...forgot about those pesky AU’s. Some good suggestions there. I agree with what many have said about all things AU and feel that their implementation could definitely do with a second pass. Getting to grips with them has been a learning experience for me too and I've never been able to feel like I could step back and say 'job well done'. I'm sure we'll get there eventually. 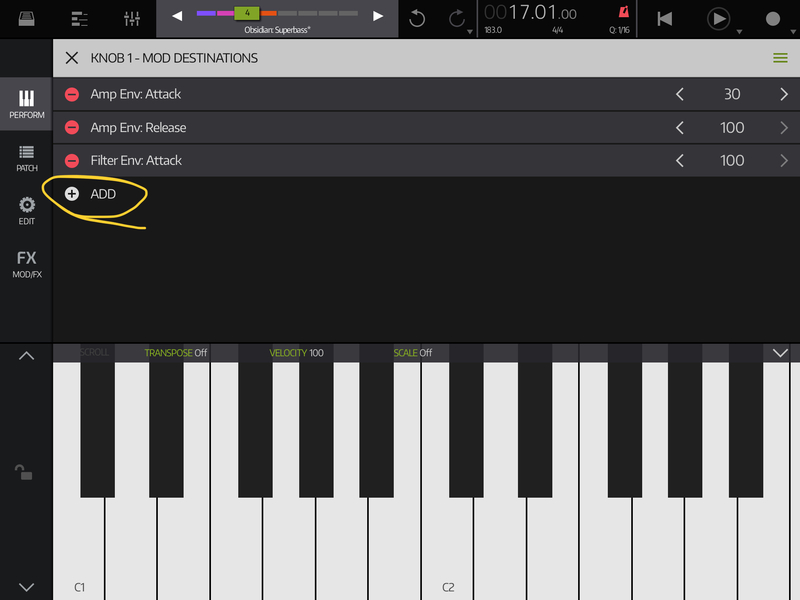 One implementation idea about the macros and au synth + AUFX automation. Would it be realistic/effective to setup a macro and mod tab just like in obsidian but for every track, and with access to all the parameters in the track? In terms of workflow, I’m thinking: every track would have the same macro layout, no matter if it’s an obsidian track or a no instrument track. Among other things, that would make automation of everything completely consistent across tracks in the arrangement view. The more tricky part would be implementing the mod matrix with access to every au or effect parameter in the track without making it a headache to find the parameter we are looking for. I’ll have to think about that. Thanks Matt, I believe we will. No rush on any of this of course - I expect we’ll be here for a good long while. Slow and steady wins the race etc. I very much hope that everybody can enjoy a nice festive break and start 2019 without stress and panic. Thanks again for making such a lovely thing. I like this app because it’s so well thought out and it performs well, there’s no anxiety about a pending crash or other weird and unexpected unexplainable behaviour, and it’s super fast to bounce around. It’s also very assuring that the dev @Blip Interactive is continuing to improve it mentioning there’s a lot more on the to-do list, and I fully am in support of paying whatever cost to fund the project. Can’t say enough good things about it and future videos will attest to the fact that I really am getting my money’s worth and time and effort out of it.